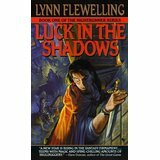 My favourite authors have interesting complex characters, fast-paced exciting plots, a detailed background world – particularly important in fantasy or supernatural novels – and a strong romance. They write books that I re-read again and again. 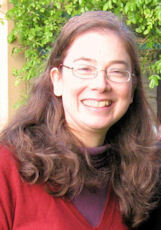 Hi, I’m Clare Solomon and I write exciting, fast-paced gay science-fiction and fantasy novels. Find out more about me here, learn more about my books here, read some free stories and book samples here, or join my e-mail list below to get a set of free books. To get "Coexistence", the first novel in my Human Hybrids series, and prequel novella, "A Destructive Power", for free just sign up below. You will also get a PDF guide to the world and characters of my Human Hybrids novels, along with information about my latest books and special offers. 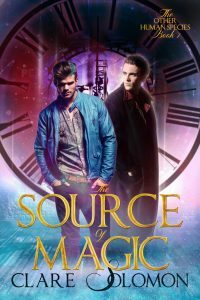 “The Source of Magic“, the first book in a compelling new YA magic fantasy series is available now. Read a free sample or buy now at Amazon. 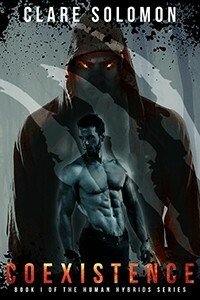 My gay m/m novel, “Coexistence“, is the first in my Human Hybrids series and was described by an Amazon reviewer as “X-Files, but for shifters“. Read a free sample or Get it now at Amazon. This is a really helpful newsletter that shows free gay novels and ones at sale prices, as well as popular new releases. Visit or sign up to be emailed the newsletter at LGBT Romance Deals. Emily W. on Amazing Giveaway!